Glo is rated as one of the top three largest network provider in Nigeria. Globacom has millions of subscribers all over Nigeria and everyday they have the urgent need to contact the customer care of Glo network. Glo has one of the best customer care services in Nigeria,their customer care representative will always try to fix your complaint both online or at any of their offices/centers across Nigeria. This post contains all the information about Glo customer care and all the phone numbers,addresses and contact details of Glo customer care that you will need to solve your problems. Globacom Nigeria operates an phone-in call centre that provide assistance to Glo customers every day. Customers can call in to ask questions,make requests,complaints etc. 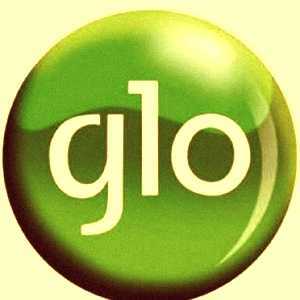 Glo also has different segments for different customers such as call centers for Prepaid, Postpaid, Glo Business and BlackBerry customers. Glo Customer Care Numbers In Nigeria? OR send an email to customercare@gloworld.com. 1, Mike Adenuga Close, Off Adeola Odeku Street, Victoria Island, Lagos. Nigeria. You can contact Glo customer care via social media,Glo is active on the following social media platforms which are Facebook, Twitter, Instagram, Blackberry Channel, Google+ and Eskimi. complaints or request via a tweet to Glo Nigeria's verified twitter account (twitter :@GloWorld) and get a response fast. You can contact Glo customer care via any of these chat services for a live chat with an online Glo customer care representatives,Glo chat services are available on Glo XMS,Pay4MeSMS,SMS4Ever,Frenzo Chat & Super SMS. How To Change Glo Customer Care Language? Dial 121 and press 6 to change your language. 1 is for English. You can also dial the following code below for direct access to your preferred language. Shop 44, Palms Shopping Mall, Lekki, Lagos. shops 84, Ikeja City Mall, beside Alausa secretariat, Ikeja. Conoil Filling Station, Seme Border, Lagos. Conoil Filling Station, Sango/Eleyele Road, Beside Polytechnic south campus gate, Ibadan. Plot 77, Ndidem Usang Isoh Road, Calabar, Cross River State. Plot 115,Trans Amadi Industrial layout,Port Harcourt. No 1 ,Jos Road,Lafia,Nassarawa State. Glo Regional Office, Murtala Mohamed Way, by Niger street, beside ETB Builiding, Kano. No 1, alh Mohammed Nuhu Sanusi street off Kiyawa road Dutse, Jigawa state. Govt House Road, Opposite Bima Lodge, Gombe. No 33, Barde Way, Jalingo, Taraba State.